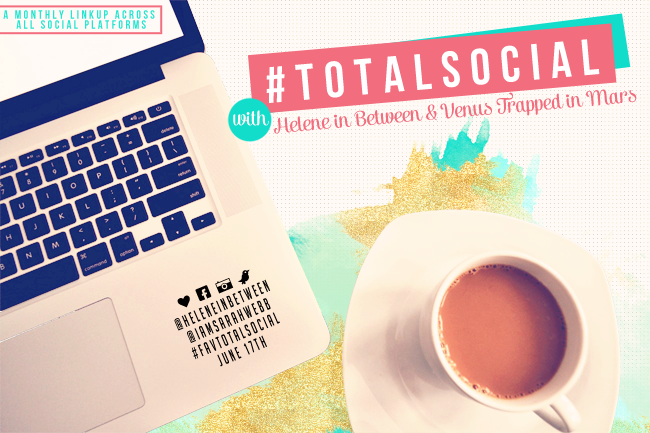 Always pumped for this super easy & fun monthly link-up hosted by the lovely Helene @ Helene in Between and Sarah @ Venus Trapped in Mars. Thanks ladies for hosting such a fab link-up. If you follow me on Instagram then you know that I'm (like most people) completely obsessed with my dog, Frank. We rescued him in 2009 from a shelter, he had originally been in a puppy mill. He was a complete mess when we got him. He's actually blind in one eye (born that way), and is missing most of his teeth. All of the vacations that we've been on have been fabulous, from our first cruise to 2009, to our last cruise in 2013, but my favorite vacation was in 2011 when Joe proposed to me in St. Thomas on Valentine's Day! these are just 4 of the 900 photos we had taken, hard to choose! Coffee, social media, Burt's Bees Original lip balm, purses, shoes, clothes, turquoise jewelry, my wedding ring, wine, aztec print, my bed, a fountain Coke (preferably from McDonalds), online shopping, horror flicks, adult cartoons, pedicures, pizza & pasta, & so many other little things in life! Adult cartoons are totally underrated. And Burt's Bees is pretty awesome too! I LOVE your tattoo and the cruise engagement pictures and your wedding pictures. Pretty fun post girl :) Thanks for sharing! LOVE your wedding photos! You look gorgeous! And your pug is so freaking cute! Gosh I loved all your pictures specially your wedding pics so beautiful as always. Those wedding photos are gorgeous! How fun! Those vacation pictures look awesome! I could totally go for a cruise right now! haha :) Love those wedding pictures too! Your dress was so beautifuL! Love that shade of purple you used in your wedding! Gorgeous photos! I've been loving Moscow Mules too! Aw little Frank is just too precious! We adopted our fur baby in 2007, they are the biggest joy huh :) Love your vaca and wedding pics too! what a fabulous post! i love the wedding pics, your tattoo is awesome! Your wedding pics are GORGEOUS! All hail the Moscow Mule! And of course your precious pug is adorable! How fun is this link up?! I'm gonna have to write this one down! It's so fun to look at all those favorite memories! Thanks for sharing! May I have Frank? Orrrrrr? I love your wedding pictures! your tattoo looks awesome. Your pug is adorable! My Elvis was 2 in May. Pugs are the sweetest things on this earth, although I could probably do without all the hair everywhere...oh well!!! he's worth it!